Brownsville Preserve, Nassawadox – The staff of The Nature Conservancy’s Virginia Coast Reserve invites one and all to join us at our annual Brownsville Holiday Open House for good cheer and celebration of the season at historic Brownsville in Nassawadox on Thursday, December 6th from 4:00 pm to 8:00 pm. 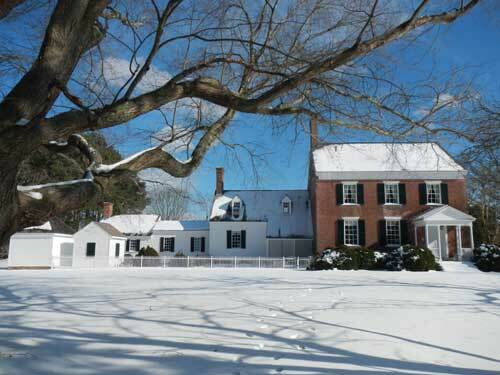 The Federal-style home (c. 1806) will be decked in nature’s holiday finest, providing a festive setting for visitors to tour the house and indulge in a cup of hot cider and a variety of sweets and savories. Wagon rides around the 1250-acre preserve will be offered earlier in the evening, and we’ll have a roaring fire outside to warm your spirits. The Nature Conservancy is a non-profit organization whose staff works locally on a variety of projects including oyster, scallop, and seagrass restoration, land protection, migratory bird conservation, coastal resilience, and outreach and education. This Open House is a great opportunity to chat with us about our work in a casual setting or to simply take in the setting itself. Brownsville’s address is 11332 Brownsville Rd., Nassawadox. Look for “The Nature Conservancy Special Event” signs to lead you to the house. For more information, please contact Outreach & Education Coordinator, Margaret Van Clief at (757) 442-3049 or mvanclief@tnc.org.